Possibly our most off-the-beaten-track adventure. Travel by 4X4 tour vehicle. Boat, horse, surf, bike and hike across the northern half of the island of Ireland, including Northern Ireland and the northwestern counties of Donegal, Leitrim, Sligo and Mayo. Soak up fantastic scenery, fast-paced activities and local culture. In 2007 Northern Ireland was named as one of the top ten places in the world to visit by Lonely Planet travel guides. Not surprising really when you consider the great scenery, fascinating history and political situation, the activity options, and the genuinely warm welcome. Plus, of course, for many, it is a completely new area to be explored as the peace has unfolded over the last 20 years. Heading across to the north-west, imagine a country of wild moorland, rugged mountain ranges, dark and mysterious lakes, spectacular beaches, hidden villages, rebel castles and prehistoric forts. Donegal got on the Cool List by National Geographic this year so we have decided to spend some more time here to uncover more. 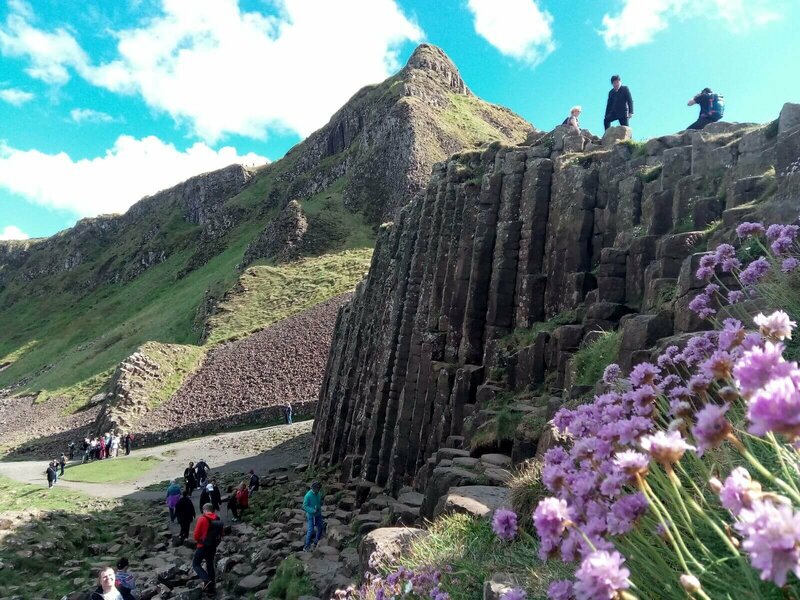 Vagabond will take you to places that coach tours of Ireland simply cannot reach, and the small group sizes on the tours give us greater flexibility to tailor-make the vacation to suit each group. It is a region with a huge amount to offer a visitor, and all in a relatively small area. You will have the chance to go for walks, ride a bike or a horse, surf an Atlantic wave, try your hand at fishing or hit a golf ball. The range of activities available is huge and qualified and experienced instructors supervise all. You'll also have the chance not to do the activities and just take it easy while we show you around. Our small groups also allow us to stay in small out-of-the-way hotels, offering a warm friendly welcome and first class accommodation. All Magnetic North Adventure Tours are run in our custom-made, 4x4 Land Rover vehicles; with a max of 11 guests - to give a truly small group, off the beaten track experience.